The Foodprint Project will truly go international on Saturday, July 31, when Sarah Rich and Nicola Twilley will head to Toronto to host the next batches of conversations about food and the city. As a sort of preview of Foodprint Toronto, we asked the two curators a few questions about their multi-city project and the themes forming and informing the discussions. Pruned: What is the Foodprint Project, and why was it started? Nicola Twilley: The Foodprint Project is basically an exploration of the ways cities and food shape each other. So far, it's taken the form of panel discussions, one city at a time, but Sarah and I are imagining that it will gradually evolve and expand beyond that format as we go along. We launched it on January 1 this year, as a sort of shared New Year's resolution to take this interest we both have in the relationship between cities and food, and explore it in more depth by getting people with quite different perspectives together to have a public conversation about it—past, present and possible futures. The first conversation was driven by curiosity—both our own in the topic and to see whether other people would be as interested as we are — and now with the second, we're already seeing the potential to start conversations and comparisons between cities, as well as within them. So the precise what and why of Foodprint Project might expand over time—but it all comes out of a sense of the potential of using food as a lens to re-perceive, re-imagine and re-design cities. Sarah Rich: The two key words I'd sort of add in there are design and place/space (I guess that's three words). The way we want to look at the relationship between food and cities has a lot to do with urban planning, architecture, infrastructure and the way unintentional or intentional manipulations of physical space can steer patterns of consumption and behavior. Pruned: Many aspects of urban food systems are inextricably linked to a much wider system within an even wider system, from the regional to the national to the continental and then further on up to the inter-continentinal scale. But the project, at least in these first two iterations, is squarely focused on the city. Why this focus? Twilley: I think a large part of the reasoning behind our city-by-city focus is for exactly the reason you describe: urban food systems are inextricably tied to a much wider system—so we can use the former as a way into the latter. In other words, we can talk about NAFTA in terms of the evolution of the Ontario Food Terminal [pdf] or corn subsidies in terms of bodega inventory. It can be really helpful to have that sort of grounded, place-specific way in to the larger discussion. Another part of our reasoning is that most people—and more of them everyday—live in cities. Twenty-first-century urbanism is increasingly going to define and reshape our relationship with food: why not try to understand that and even flip it, to see how food could redefine twenty-first-century urbanism. Pruned: On that last note, I'd like to tease out some of your ideas on how food should inform 21st century urbanism. Twilley: I’m definitely interested in hearing what our panelists think about that (much more so than answering it myself!). But not to evade the question totally: I am certain food can be a helpful tool in designing and upgrading cities because it is so down-to-earth, everyday, and necessary—yet it is tied to all of the other factors we usually think about optimizing for (for example, economics, health, transportation, land-use, sustainability). So if you evaluated your designs through the lens of food (a sort of “food reality check”), then perhaps you would be sure to consider all those other important factors, in balance, and create a plan that is workable and accessible. These ideas, I should add, were originally very much inspired by architect Carolyn Steel (author of Hungry City). Rich: In my mind, part of the big challenge around food in the 21st century is in making it a higher priority both within systems and for individuals. In schools, in hospitals, at home, in commercial zones—everywhere we go, the act of feeding ourselves is often an afterthought and the desire to spend money on food is very low. The ramifications touch education, health, tax burdens, environmental quality, the list goes on. As we think about what our cities will look like in the future, I think it's important for food to be an integral part of the conversation so that we design infrastructure and services that improve rather than degrade food systems and human health. Can bodegas manage to stock an inventory that remains relatively cheap without guaranteeing astronomical healthcare costs down the line? Can public spaces facilitate civic engagement around growing food? I think in a way this is the essential goal of Foodprint. Pruned: Why did you choose Toronto as the next stop? I’m assuming you could have picked any city. Rich: Toronto came in as our second stop mostly through the urgings and generous encouragement of a few of our connections there. One was Tim Maly, who writes the blog Quiet Babylon. Tim came to Foodprint NYC and he gave us a book at the end called The Edible City, published by Coach House Books, which is a collection of essays by Toronto-based writers all about food in Toronto/Ontario, approached from numerous angles. That book (as well as Food, edited by John Knechtel of Alphabet City) proved to be a great resource and a great way for Nicky and I to dive into understanding the role of food in Toronto. 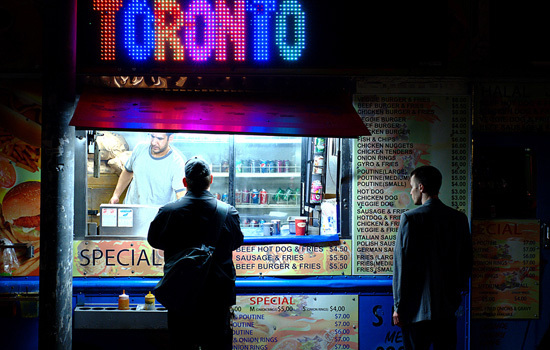 It was immediately clear that many people in Toronto already think about the deep connections between urbanism and food systems, so we felt like the conversations and the audience were there and we had a good opportunity to thread them together in some new ways. We decided since Nicky and her husband, Geoff, would already be in Montreal for the summer in order for Geoff to do a research fellowship at CCA (and since Toronto's much nicer in summer than winter! ), it made sense to head there. The other early supporters of Foodprint Toronto were Mason White and Lola Sheppard of InfraNet Lab. Once we agreed to bring Foodprint to Toronto, they've all been very helpful connecting us with great people there. It should be said, we first got to know Tim and Mason via Twitter! Twitter's been a major vehicle for driving the success of this project. Twilley: I’d just add that we always intended Foodprint Project to be an international series, so the idea of doing our second event outside of the US was especially tempting. Pruned: The names of the panel discussions for Foodprint Toronto are the same from last time. I take it then that you'll be picking up some of the dialogues from Foodprint NYC. Twilley: I think there are some specific conversations we’ll be picking back up (two examples of questions we’ll ask in both cities, just off the top of my head: the role of different agencies in creating food policy, and the regulations governing street food vending). There are also some conversations I hope we’ll return to in different cities, but we aren’t this time (for example, the city’s foodscape as seen from other species’ point of view). Either way, our discussions will flow from the same basic questions—what can you learn about city when you map it using food as the metric? 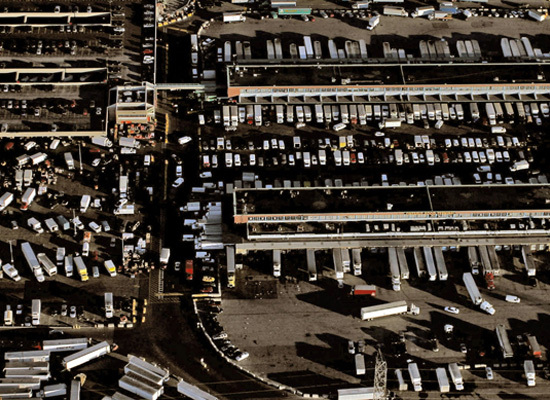 how do policy, infrastructure, and economics shape a city’s food? and so on—so there will be definitely be thematic overlap. Pruned: Are there any new trajectories you're planning to pursue? Twilley: There are definitely some new trajectories we'll pursue, based on the individual research interests and expertise of our panelists as well as the specificities of Toronto's urban/peri-urban context. Toronto has a green belt, for example, so we'll want to talk about that. And in Toronto, we have a First Nations fisherman joining us, so our look at food traditions can extend back some way into pre-Columbian heritage. In other cases, we'll be looking at similar themes in slightly different ways. For example, in NYC, we looked at the future of school food with Amale Androus speaking about Work AC's design for an Edible Schoolyard at P.S. 216, while in Toronto, we'll be looking at shifts in school food over the past fifty years, including the evolution of the concept of “brain food,” with historian Rebecca O'Neill. Foodprint Toronto will take place on Saturday, July 31, from 12:30 to 5:00 pm, at Artscape Wychwood Barns. Here's a map. 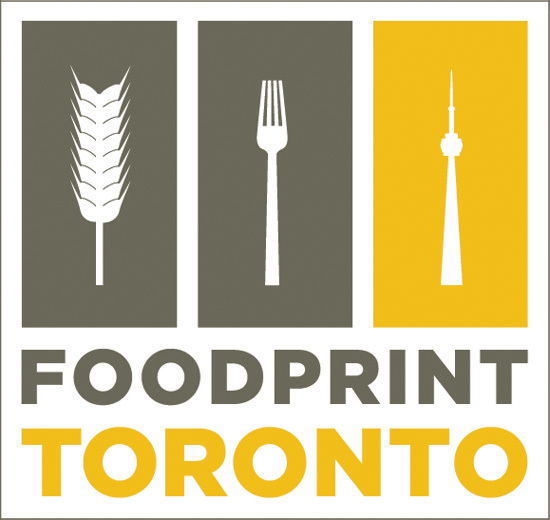 Foodprint Toronto will be open to the public (with seating for up to 400). If you can't make it to the event, the talks will be available to view online. Lastly, many thanks to Sarah Rich and Nicola Twilley for taking the time to answer our questions. I never thought that food could be tied with a statistic that could weigh urbanization. But come to think of it, changes in people's taste palettes due to trends have more than once dictated our lifestyle.